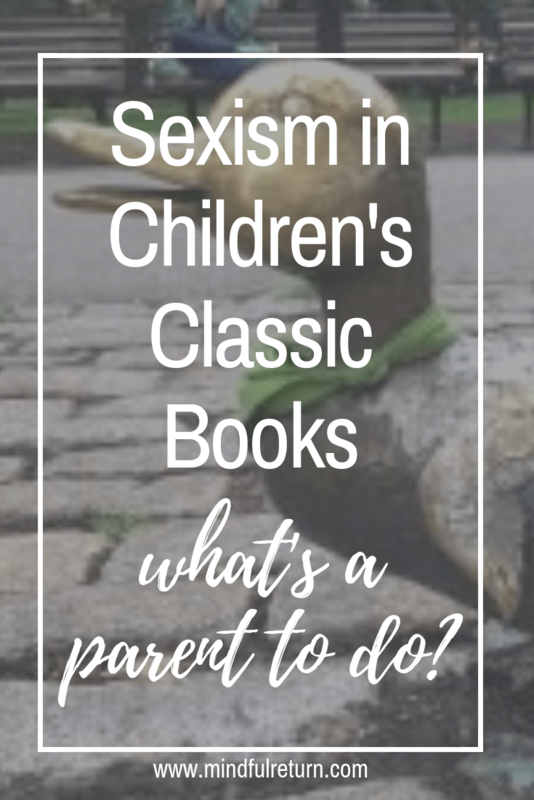 Sexism in Children’s Classics: What’s a Parent to Do? Some of our favorite children’s classics from our own youths may hold an important place in our hearts, but still be incredibly sexist. To share these books with our kids or not? That’s today’s question. A few weeks ago, my redheaded family of four was about to head up to Boston for our summer vacation. We were looking forward to escaping the Washington, D.C. swamp and mosquitos. Exploring the swan boats and the public gardens. Going whale watching. Seeing friends. And spending time together as a family. 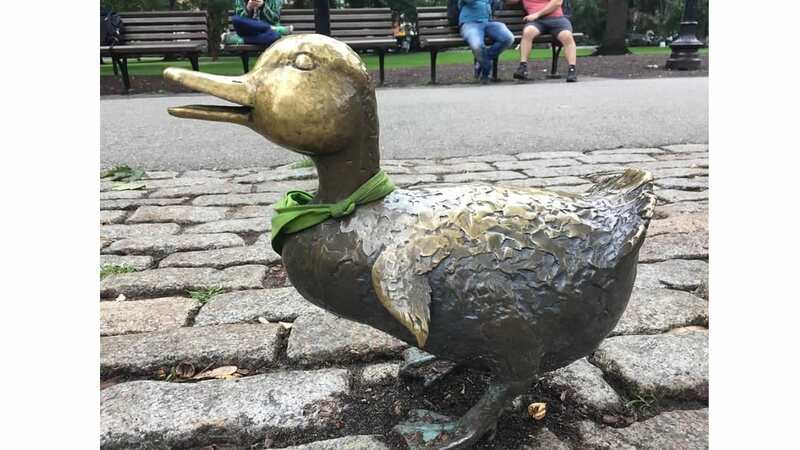 As I packed our suitcase and thought about what bedtime stories to bring to read to our 5 and 7 year old boys, my mind immediately went to Make Way for Ducklings, Robert McCloskey’s Caldecott-winning children’s classic that takes place in Boston. I knew where it was in the house (on a shelf in the basement). Though I’d never actually read it to my kids. Now Mrs. Mallard had just, presumably days earlier, given birth to 8 little duckling cherubs: Jack, Kack, Lack, Mack, Nack, Ouack, Pack, and Quack. She was probably a first-time parent. And while she is, of course, competent to care for her little ones, the assumption is that she is the only one who should be caring for them. It’s not even as though Mr. Mallard set off to find them some food. Or to seek out a new home. No, he simply wanted to “see what the rest of the river was like.” Hmm. So there I was, caught in a tension between stereotypes and history. And I tossed the book into our bag. It wasn’t long before boredom broke out on the airplane to Boston, and my boys were asking what we’d brought to entertain them. I pulled out Make Way for Ducklings and plunged in. My 5 year old was instantly mesmerized. Yes, by the drawings, but also by the ducklings’ rhyming and adorable names. He was hooked from page one, and there was no turning back. “Again, again!” he shouted after we reached the end of the book, just as he had done when he was two. Of course my little guy hadn’t contemplated the fairness of Mr. Mallard’s wanderings and tilted his head, thinking about this. 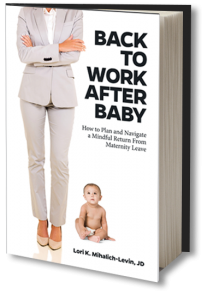 “Can you imagine having 8 brand new babies on your hands and being alone as a parent? Wow, that’s a lot to take care of!” I continued. He agreed with that point, and we talked about the fact that regardless of whether you’re a mom or a dad, it’s hard to take care of newborns. “You don’t sleep much when you have babies!” my son reminded me. Wise soul. Am I glad we brought the book with us? Yes. Reading that book made the visit to the statues in the Public Garden so much more meaningful and exciting for my kids. And it presented us with a perfect opportunity to talk about parenting roles and responsibilities. Yes, go ahead and read the book, with your kids. Have a conversation with them about the parts of the story that don’t make sense through our current lens. In other words, interpret it for them. Remember that what they see and experience in their own home – i.e. perhaps two parents fully engaged in parenting – will likely stick with them in the long run, much more than a book they’ve read. And finally, you can always balance out a historic read with something more current, that explores women’s roles in a more modern and positive light. Three of my favorites? (1) I Dissent: Ruth Bader Ginsburg Makes Her Mark; (2) She Persisted: 13 American Women Who Changed the World; and (3) My Mom Has Two Jobs (check out my interview with the author here!). I’ve only been a mom for seven weeks but I’ve been a middle school teacher for 15 years. I completely agree with you reading this particular book because most important are the conversations that you have with your kids to point out sexism, racism or homophobia. I teach a class to 8th graders on neuroscience and how the brain relates to learning. For the last three weeks of the class I teach about recreational drugs and the neurological effects drugs have on the brain and on learning. I show my kids a great website that is kid friendly. Unfortunately the cartoons it shows about the behavioral effects of drugs have a disproportionate amount of people of color depicted. Once we had explored the website, I stopped class, apologized for this and explained the facts in regards to drugs and people of color – adresing the stereotypical view of someone who does drugs. A couple of my students who are non white looked relieved that I had addressed this and we went on to have a great conversation about it. Like you, I agree that it is all about our conversations with our children and I plan on engaging in those same conversations with my daughter who at seven weeks can’t yet comprehend! Thank you for sharing your perspectives here, Elizabeth – and congrats on your daughter’s arrival! I appreciate your example from your classroom and agree that the dialog here is critical. And though your daughter can’t comprehend yet, she’ll grow up with your thoughtful narrative as part of the air she breathes. She’s lucky to have you for a mama.